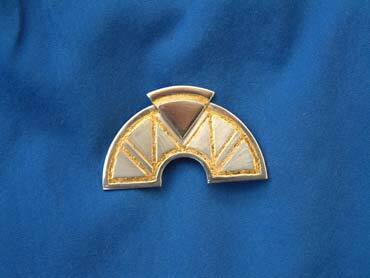 Silver etched brooch with gold leaf inlayed to the etched design. Design inspired by art deco architecture. Safety roller clasp pin fastening.